Muscle is the motor for movement and different muscles are typically considered as distinct anatomical entities. Fascia is an organ of support and interconnection. Functionally, anatomical distinctions and the defined roles of these units are insufficient for an adequate understanding of joint movement, stability and neuromotor control. 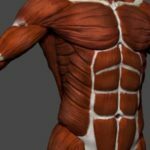 Fascia in its most simplistic form is too easily dismissed and viewed by professional and the lay person as a custom fit, wet suit or thick skin that simply contains muscle by surrounding it. Yet, it is a far more wondrous, complex, active and interactive connective tissue doing quite a bit more than simply gluing your child together. It is not a body stocking where muscles and all of the other organs are stuffed. A pediatrician posed this question with regard to learning about connective tissues in the first year of medical school. He remembered spending an inordinate amount of time learning to recognize fascia under a microscope and in basic anatomy where he learned to recognize its appearance. A good part of the first year in school was devoted to this tissue. However after that, he was perplexed and uncertain why the topic of fascia, myofascia or connective tissues was brought up clinically during clinical examinations, clinical pathology or surgery; other than it seemed to be a tissue that one had to cut through in surgery if the muscles, tendons, and other soft tissues were to be exposed and viewed. As technological advances in microscopy and tissue visualization moved forward and minimal incision surgeries seemed to have a certain appeal in elective surgeries and not the long scars with stitches leaving ‘railroad tracks’ along one’s skin, we started to catch glimpses of living fascia. Much of this work was done through micro-cameras [endoscopes] offering a detailed glimpse of fascia and myofascia as it changed and responded to mechanical pressures during surgery. 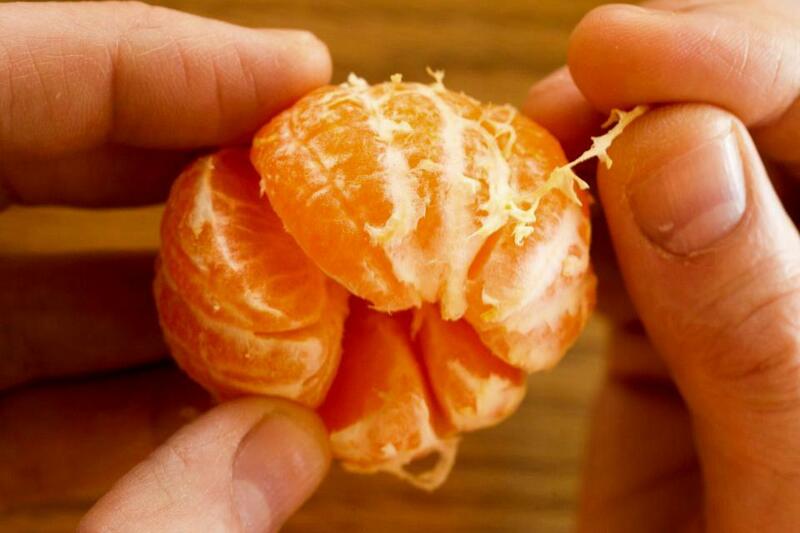 “Fascia” holding an orange together. Fascia is not a burlap sack or the passive body stocking it was thought to be and as we viewed it in cadavers. It was living, moving and ever-changing; the tissue often “flowed.” It was everywhere yet we did not understand its role in our kids with cerebral palsy or other neuromuscular disorders; not a surprise since we didn’t understand it in the typical child. The fascial system consists of the three-dimensional continuum of soft, collagen containing, loose and dense fibrous connective tissues that permeate the body. It incorporates elements such as adipose tissue, adventitia and neurovascular sheaths, aponeuroses, deep and superficial fascia, epineurium, the joint capsules, ligaments, membranes, meninges, myofascial expansions, periostea, retinacula, septa, tendons, visceral fasciae and all the intramuscular and intermuscular connective tissues. The fascial system surrounds, interweaves and interpenetrates all organs, muscles, bones and nerve fibers, providing the body with a functional structure and providing an environment that permits all body systems to operate in an integrated manner. Fascia is so pervasive and interconnected that it easily frustrates the common ambition of researchers, anatomists and surgeons to divide it into a discrete number of subunits, which can be separately and functionally described. In our anatomy books and displays, fascia is generally removed, so the viewer can see the organs, nerves and vessels but fails to appreciate the fascia, which connects and separates these structures. Inside the muscle, highly organized fascial (connective tissue) structures exist and are linked and interconnected. However, they are also interconnected with the neuromuscular contractile apparatus in a way that they change the force balance determining the length of the sarcomeres (the actual muscle cells). Therefore, intramuscular fascia not only support the contractile apparatus, but can also alter its functional output determining the muscle’s contribution to joint movement or might even be the limiting factor of movement. Hard to imagine. A tissue such as fascia that is a fluid structure yet offers support for our bodies and is an integral part of moving. It is this fluid, mysterious connective tissue that offers change when you decide to “stretch your muscles.” Stretching is actually th efibers of the connective tissue [collagen] gliding along one antoer on the mucous-y proteins called GAGs (glycosaminoglycans – yes we covered that in biochemistry but a bit out of clinical context). GAGs, depending on their current state or chemistry, will “glue” layers together so that the smooth sliding and gliding of muscle layers become difficult if not impossible at a certain point. The fascia does become thicker and more unyielding if variation of motion does not occur and repetitive patterns are used over and over. Sound somewhat like a child with stereotypical motions in cerebral palsy? More of the same postures and movement eventually result in bonded, quite thick fascial or connective tissue bands that are palpable with light finger touch often paralleling the muscle groups and sometimes the muscle. So active [not passive] movement must be varied if such contractures or constraint of myofascial tissues is not to occur. Well, yes and no. The child must be an active participant in the movement and that movement needs to be varied with variation of temp or velocity as well. Not only does moving constantly in the same way and in the same body planes put the myofascia /fascia/ connective tissue at risk, the constraints happen faster; particularly in a growing child where the bone is growing in length and fascia that infiltrates the bone, tendons and muscle are trying to play catch-up. Among the different kinds of tissues that are involved in musculoskeletal dynamics, fascia has received comparatively little scientific attention. Fascia, or dense fibrous connective tissues, nevertheless plays a major yet still poorly understood role in joint stability, in general movement coordination, as well as in limitations of joint arcs in chronic neuromotor disorders such as cerebral palsy.